I only have two great fears in life. One, I am afraid of heights, like my throat starts to close off and I just want to pee. I know, totally weird response. My second greatest fear is the deep ocean but is so much more detailed. I love to travel and I have a traveling tribe but we have never taken a cruise. Why? 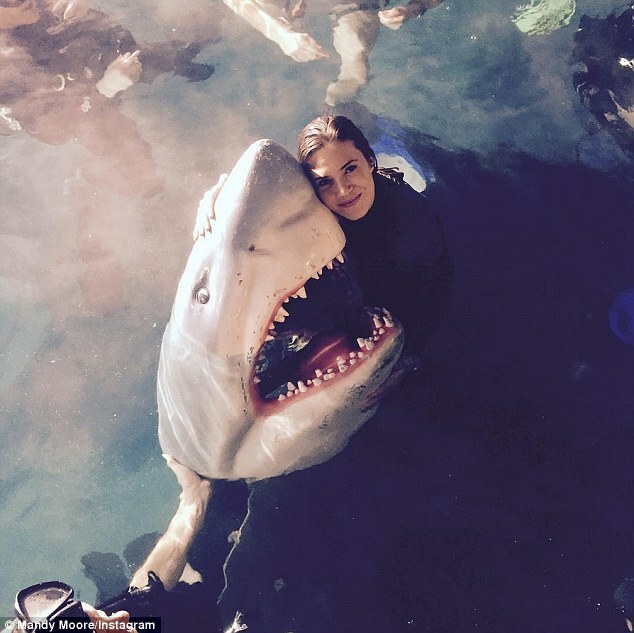 Because I know there is a giant octopus waiting in the deep, beautiful ocean waiting to EAT ME. But here is the real kicker, I love SHARK WEEK on the discovery channel. We have shirts & blankets for it. I.Watch.It.All. I'm beginning to think I have a very disturbed sense of fear. I'll tell you how you survive, YOU DON'T CLIMB INTO THE CAGE! I thought Jaws was scary back in the day but 47 Meters Down kept my heart rate at a beat that would be classified at a level of Vigorous-Intense activity, basically my heart freaking ran a marathon for the duration of the movie. 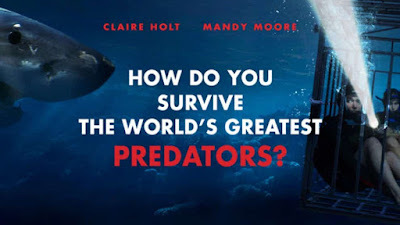 Would I recommend 47 Meters Down? 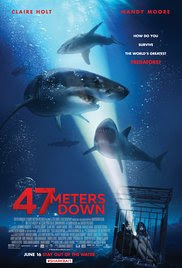 The way I see it, 47 Meters Down counts for at least an hour of physical activity for the day. The heart can't lie. Side note: We have a pond. We will now have an unused, probably shark infested, pond. The End.